We want to assure you that we are part of your community playground long after the sale is made. 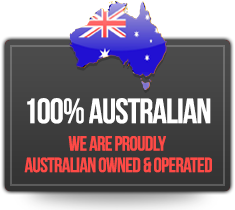 Our quality is legendary, and we stand behind our products with one of the best warranties in the business and a level of customer service that assures you that your needs will be met. For complete Warranty information, consult Imagination Play. For the purpose of this warranty, “lifetime” encompasses no specific term of years, but rather that seller warrants to its original customer for as long as the original customer owns the product and uses the product for its intended purpose that the product and all its parts will be free from defects in material and manufacturing workmanship. GameTime provides warranties on all materials and workmanship for one year, excluding vandalism. Lifetime limited warranty on PowerScape®, PrimeTime®, Xscape® & IONiX® uprights. Lifetime limited warranty on Tru-Loc® connections and upright bolt-through connections. Twenty-Year limited warranty on Timber Décor™ & Timbers recycled plastic lumber. Fifteen-Year limited warranty on metal decks, pipes, rungs, rails, loops, braces, and footbucks. Fifteen-Year limited warranty on rotationally-molded products. Ten-Year limited warranty on GTFit posts & bars. Five-Year limited warranty on glass fiber reinforced concrete PlayWorx structures. Five-Year limited warranty on glass fiber reinforced polymer Tuff Forms sculptures. Five-Year limited warranty on GT Symphony FreenotesTM Harmony Park components. Three-Year limited warranty on Everybody Plays polyurea coated foam & rubber strips. Two-Year limited warranty on Challenge Course timing components. GameTime provides a lifetime limited warranty on PowerScape Tru-Loc® connections, upright posts; and PrimeTime, IONiX and Xscape bolt-through connections; a fifteen-year warranty on metal decks, pipes, rails, loops, and rungs; ten-year limited warranty on EDPM rubber components; and a one-year limited warranty on powder coated parts. These warranties cover damage due to failure or corrosion of metal parts or rubber breakdown that cause the product to become structurally unfit for its intended use. The lifetime warranty refers to the life of the product as defined below and covers the product under normal use and proper maintenance; see exclusions. GameTime provides a lifetime limited warranty against structural failure due to breaking or shearing which causes the product to become structurally unfit for its intended use; a lifetime limited warranty on stainless steel hardware against rust; and a one-year limited warranty on non-stainless steel hardware against rust; see exclusions. All testing of GameTime’s hardware is performed under the guidelines of ASTM B117. The lifetime warranty refers to the life of the product as defined below and covers the product under normal use and proper maintenance. The cost of replacement due to scratching or cutting of certain hardware plating is not included in this warranty. GameTime provides a fifteen-year limited warranty on rotomolded polyethylene products and ten-year limited warranty on polyethylene handholds for structural integrity against damage due to breaking or splitting under normal use that causes the product to become structurally unfit for its intended use; see exclusions. In the event of a claim under this warranty, GameTime will replace the rotomolded or thermo-formed polyethylene product at no cost to the customer. GameTime provides a twenty-year limited warranty on recycled plastic lumber products in normal applications against rotting, splintering, decay or structural damage directly from termites or fungal decay that cause the product to become structurally unfit for its intended use; see exclusions. GameTime provides a five-year limited warranty on nylon-covered cable net climbers and components against structural failure caused by cable breakage; a five-year limited warranty on nylon-covered cable wear and deterioration resulting from defects in materials and workmanship; and a one-year limited warranty on nylon rope products. These warranties cover damage due to failure that cause the product to become structurally unfit for the intended use; see exclusions. GameTime provides a ten-year limited warranty on fabric canopies against tears, runs, cracking, mildew and color fading except for red, which has a three-year color warranty. Canopies have a limited warranty against structure failure due to wind of up to 90 miles per hour (mph) and structural failure due to snow and ice loading not exceeding five pounds per square foot. Fabric canopies are to be removed if winds are expected to exceed 90 mph or when snow or ice is expected. Fabric warranty does not cover damage resulting from chemical contact. All metal upright posts and support structure framing have a ten-year limited warranty against becoming structurally unfit for the use intended and a one-year limited warranty against rusting and workmanship of painted surfaces. Warranty is limited to winds of up to 90 mph when fabric canopies are installed (wind resistance improves 10 to 20 mph without canopies). GameTime provides a ten-year limited warranty on site furnishings against structural failure and a one-year limited warranty on powder coating. These warranties cover damage due to failure or corrosion of metal parts that cause the product to become structurally unfit for the intended use; see exclusions. GameTime provides a ten-year limited warranty on fiberglass and digital high pressure laminate (DHPL) sign panels against delaminating, peeling, blistering, cracking or fading and a five-year limited warranty on high density polyethylene (HDPE) panels against degradation and discoloration under normal wear and usage. GameTime provides a five-year limited warranty on GT Symphony FreenotesTM Harmony Park music components that render the products unusable for their intended use. GameTime provides a three-year limited warranty on Everybody Plays polyurea coated foam and rubber strip components that render the products unusable for their intended use. GameTime provides a five-year limited warranty on PlayWorx glass fiber reinforced concrete (GFRC) themed play structures against structural failure that cause the product to become structurally unfit for the intended use and a one-year limited warranty on paint defects; see exclusions. This warranty does not cover damage resulting from ground settlement or high winds. GameTime provides a five-year limited warranty on Tuff Forms glass fiber reinforced polymers (GFRP) themed play sculptures against structural failure that cause the product to become structurally unfit for the intended use and a one-year limited warranty on paint defects; see exclusions. This warranty does not cover damage resulting from ground settlement or high winds. GameTime provides a ten-year limited warranty on GTfit stationary posts, welds, and bars and a five-year limited warranty on GTfit motion posts, welds, and bars against structural failure; a five-year limited warranty on stainless damper modules and aluminum cycle covers; a two-year limited warranty on bearings, steel pins, dampers, plastics, rubber parts, cycle pedals and shafts, molded seats, backrests, clamps, and Challenge Course timing systems; and a one-year limited warranty on cycle rib belts and powder coating. These warranties cover damage due to failure or corrosion of metal parts that cause the product to become structurally unfit for the intended use; see exclusions. GameTime provides a ten-year limited warranty on redwood and pressure-treated wood products against damage by decay or termites causing the wood to become structurally unfit for its intended use; see exclusions. 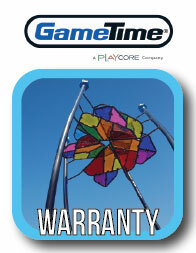 GameTime provides a five-year limited warranty on Model No. 949 SuperSeat and Model No. 999 Super Seat-2 against structural failure that causes the seat to become unfit for its intended use; see exclusions. The factory installed “S”–Hook and Seat Hanger assemblies are covered under a one-year limited warranty against rust, corrosion or premature wear. GameTime provides a three-year limited warranty on rubber and “C”-springs for SaddleMates against damage due to de-lamination of the rubber spring and breakage of the “C”-spring that cause the SaddleMate to become structurally unfit for its intended use; see exclusions. For the purposes of this warranty, lifetime encompasses no specific term of years, but rather that Seller warrants to its original customer for as long as the original customer owns the Product and uses the Product for its intended purpose that the Product and all parts will be free from defects in material and manufacturing workmanship. GameTime excludes from these warranties the cost to remove parts and reinstall replacements; replacement due to cosmetic defects or coating deterioration caused by climatic conditions; and wood replacement resulting from twisting, warping, checking, shrinking, swelling or other natural physical properties of wood. To the extent permitted by law, these warranties are expressly in lieu of any other implied or expressed warranties or representation by any person, including any implied warranty of merchantability or fitness. These warranties provide valuable rights to you. No Sales Representative can modify or amend the terms of this warranty. Since warranty limitations and exclusions may vary from state to state, you should check any specific warranty rights in your state. 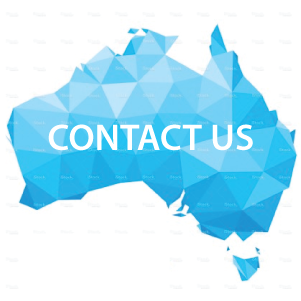 All warranties specifically exclude damage caused by vandalism; negligence, improper installation or improper use; changes in appearance resulting from weathering; scratches, dents or marring as a result of use. Warranties are valid only if products are installed and maintained in accordance with GameTime instructions and use approved parts. First 12 Months – free freight with labour costs at Imagination Play’s discretion. After 12 Months – freight chargeable with labour costs at Imagination Play’s discretion. Warranty only applies if products have been installed and maintained correctly. No coverage for wear and tear, accidents, aesthetic issues or vandalism.